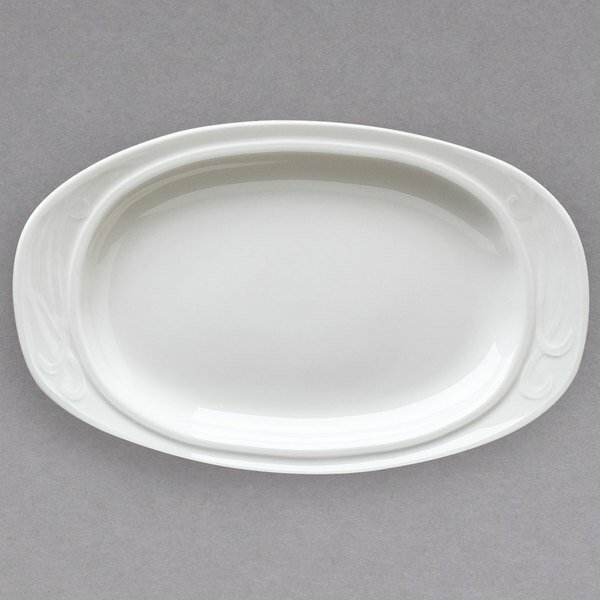 For an elegant backdrop to your most popular culinary creations, serve all of your appetizers and entrees on this Homer Laughlin 1000-0617 Lyrica 10 3/4" platter. Soft, ivory coloring is briefly embellished with fine sculpting along the rim, reminiscent of light strokes of an artist's brush. 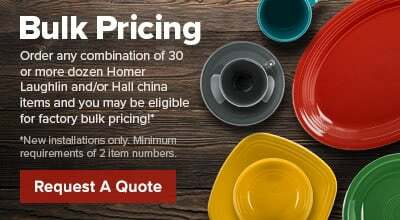 It's perfect for restaurants, hotels, or catered events. 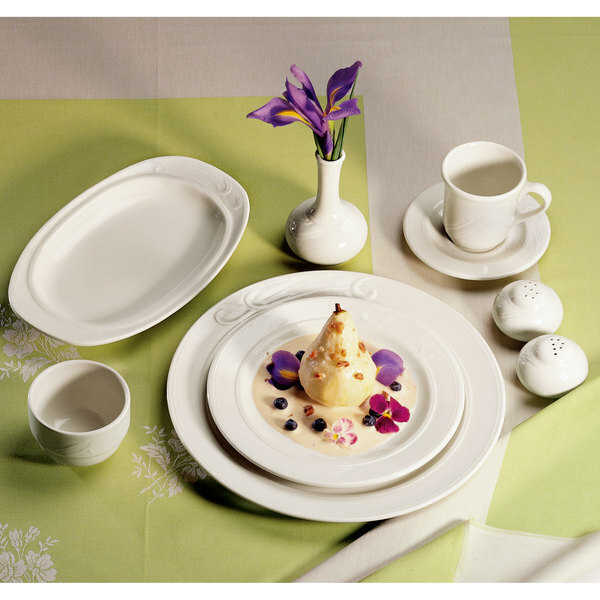 Part of the Lyrica collection, this piece adds a whimsical feel to any table setting. 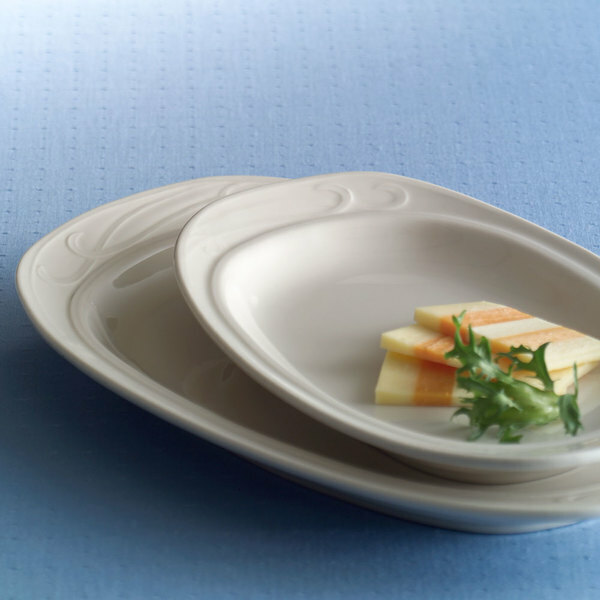 Fine, festive design balances out the elegant, asymmetrical embossing to create an undeniably stylish backdrop for your fresh, gourmet creations. This collection pulls inspiration from Art Nouveau to create a fun, yet fashionable piece you'll be proud to present in your restaurant's dining room.